When in doubt, squat it out! What’s the most awesome squat variation you can think of? Share a photo about it on PumpUp for a chance to win some swag! We love love love PumpUp member @doogiebear’s squat outdoors! Good luck! It’s beautiful outside and you know it’s the perfect day to work out… but you don’t want to miss out on the weather by being inside the gym. With just a pair of running shoes, a bottle of water, and PumpUp in your pocket, you can enjoy the weather and still get in a great workout! When the weather is beautiful, there’s no better way to spice up your workout then by taking it outside! With PumpUp, it’s easy to create a body-only workout for the park! If your park has a jungle gym, get creative! You can tell PumpUp you have a chin-up bar (monkey bar) available and it will incorporate chin-ups and other great exercise in your routine for the park! 2) Using a resistance band! Resistance bands are a low-cost, highly transportable piece of equipment that’s perfect to use outdoors! Resistance bands have a lot of great benefits that can make for an awesome workout! For example, the band gets tighter as you go through the exercise, making it extra challenging! With PumpUp, you can easily create a workout routine using a resistance band that’s perfect for the park or your backyard! A huge benefit of getting active outdoors (besides getting a great tan) is being able to go for a run without being tied to the treadmill! Sure, it’s nice to go for a run while watching your favorite show indoors, but picture yourself running through a trail or on the beach. Running outdoors is not only great exercise, but it’s also a great way to experience the great outdoors! 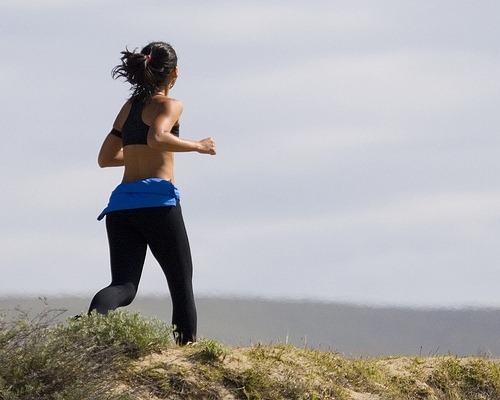 These are just 3 simple ways that you can get in some great exercise outside. Summer always seems to fly by, so make sure you get outside, get active, and enjoy the beautiful weather while improving your health! Ps. Don’t forget to download PumpUp to create a great workout routine you can do in the park, your backyard, or pretty much anywhere you’d like!